Dr. Dietz has been in practice for 27 years specializing in companion animal medicine and surgery. 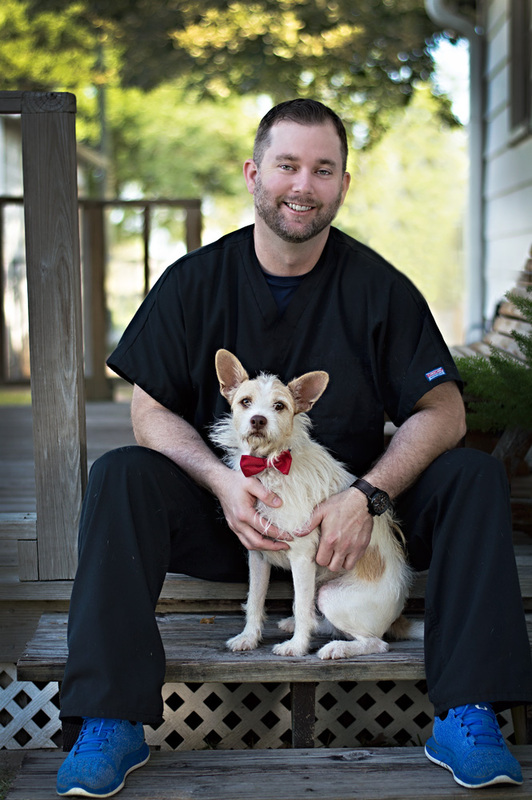 After graduating from Texas A&M Veterinary school, Dr. Dietz worked for a few years as an Associate veterinarian before opening East Plano Animal Hospital which he owned for 13 years. He sold the practice in 2005 and moved his family out to the country life of Fort Bend County. He started over again in 2009 embarking on a new hospital adventure here in Richmond, Texas which combines a beautiful country setting and family atmosphere that makes practicing animal medicine a true joy. Dr. Dietz's greatest achievement was winning the hand of his wife Elaine in 1994 which led to his 5 great loves of his life, Trey, Clarence, Winnie, Genevieve, and Martin. Away from the practice Dr. Dietz enjoys working on the farm, writing, bird watching, and traveling. Jason began working for Dietz Family Pet Hospital in April of 2017. He grew up in Needville near the Brazos Bend State Park and graduated from Needville High School in 1997. 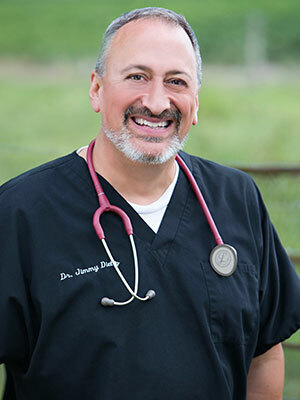 He's beein in the veterinary field for over 20 years working with small and large animal practices as well as specialty and emergency clinics. Jason has been married since December 2014 to his wife, Chantelle. They have a son, Brandon, who likes to volunteer at the clinic from time to time. He three pets that he's rescued: one dog (Hattie Mae) and two cats (June Bug and Benjamin). In his free time, Jason enjoys playing and watching sports, as well as coaching Brandon and his teams. He also likes to go travelling, camping, hiking, fishing and trying out new foods and restaurants. 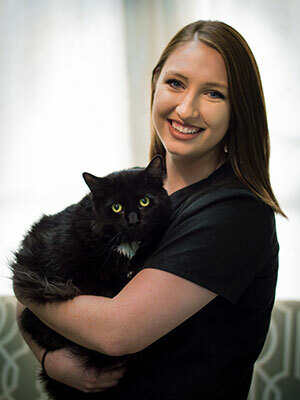 Megan began working at Dietz Family Pet Hospital in August of 2016. She attended South Dakota State University as a student-athlete and received a Bachelors of Science in Animal Science. She also played on the University’s women’s soccer team. She plans to attend Vet School and eventually return home to South Dakota to open her own mixed animal practice! Megan loves playing soccer and football, watching hockey and football, and doing anything outdoors or sport related. She has one very spoiled cat named Leopold.